On January 17, 2008, Play N Trade Franchise, Inc. (“PNT”) filed a lawsuit in the U.S. District Court for the District of Nevada against Henry Mangio ("Mangio") and Henrob Inc.(d/b/a Trade n Play). See Play N Trade Franchise, Inc. v. Mangio et al, Case No. 08-CV-00067 (D. Nev.). A copy of the complaint can be downloaded here (courtesy of me). At issue is Mangio’s alleged use of PNT’s trademark and trade dress after Mangio’s franchise agreement with PNT was terminated. 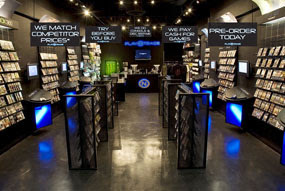 PNT is in the business of franchising retail stores under the name Play N Trade that sell video and computer games and DVDs throughout the United States. PNT hold several service mark registrations containing the PLAY N TRADE (all for retail stores services featuring electronic video and computer games and DVDs for purchase, sale, or trade), including PLAY N TRADE, PLAY N TRADE BUY-SELL-TRADE VIDEO GAMES & DVDS (and Design), and PLAY N TRADE VIDEO GAMES (and Design). According to the complaint, PNT also has developed unique standards, specifications and proprietary methods for the physical layout, design and décor for the interior and exterior of its franchised retail stores, which PNT claims is a distinctive trade dress that PNT’s customers have come to associate with PNT’s stores and goodwill. In June 2003, Defendant Henry Mangio entered into a Franchise Agreement with FNT to open a PLAY N TRADE franchise retail store. The Franchise Agreement created the typical franchisor-franchisee relationship – Mangio acknowledged PNT’s ownership of the PLAY N TRADE service marks and trade dress., Mangio could use the PLAY N TRADE service marks and trade dress in return for the payment of a franchise royalty payment, and upon termination of the Franchise Agreement, Mangio could not use the marks and trade dress or any other confusingly similar mark or trade dress. Mangio also agreed that, upon termination of the Franchise Agreement, he would not directly or indirectly compete with PNT franchises for a period of two years and that he would turn over to PNT all materials received from PNT as well as telephone numbers used by PNT’s franchises. PNT asserts that the Franchise Agreement was terminated for Mangio’s failure to pay royalties and refusal to comply with other terms of the Franchise Agreement. 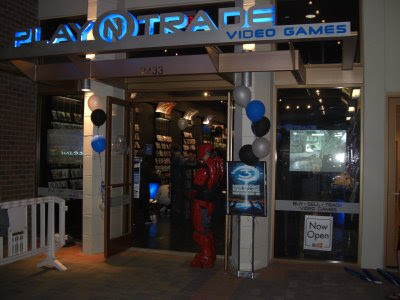 PNT maintains that Mangio (through Henrob, Inc.), despite the termination of the Franchise Agreement, has continued operating his computer game store under the name “Trade N Play,” continues to use the PLAY N TRADE trade dress, and continues to use PNT’s confidential business materials. PNT states the following causes of action: 1) Section 32 registered trademark infringement (15 U.S.C. §1114); 2) Section 43(a) trademark infringement (15 U.S.C. §1125(a)); 3) Section 43(a) trade dress infringement/unfair competition (15 U.S.C. §1125(a)); 4) Common law trademark and trade dress infringement; 5) Trade secret misappropriation under Nev. Rev. Stat. §§600A.010 et seq. (Nevada Uniform Trade Secrets Act); and 6) Breach of contract. PNT argues that Mangio’s continued use of a name which is confusingly similar to PNT’s registered service marks and Mangio’s continued use of PNT’s trade dress is likely to cause confusion among the consuming public as to the source, origin, or association of the parties and/or likely to induce prospective purchasers into believe that Mangio’s goods and services are endorsed or approved, or connected to PNT. PNT also claims that Mangio’s continued possession and use of PNT’s confidential trade secrets in conducting Mangio’s business constitutes trade secret misappropriation under Nevada Uniform Trade Secrets Act. Finally, PNT’s breach of contract claim is based on Mangio’s alleged actions in violation of the terms of the Franchise Agreement, including refusing to pay the agreed-upon royalty, refusing to return confidential materials and to turn over phone numbers after the Franchise Agreement was terminated, operating a competing business in violation of the Franchise Agreement’s covenant not to compete, and using a confusingly similar trademark and trade dress. PNT seeks injunctive relief to stop Mangio from using a confusingly similar name, the PLAY N TRADE trade dress, PNT’s confidential business materials, and from operating a competing retail store selling video and computer games and DVDs. PNT also requests 15 U.S.C. §1117(a) damages (defendant’s profits from the date the Franchise Agreement was terminated, any damages sustained by the PNT, and the costs of the action. ), 15 U.S.C. §1117(b) treble damages, attorney’s fees (for Mangio’s “exceptional” infringement), punitive damages from Mangio’s willful and wanton disregard for PNT’s rights, damages from Mangio’s bad faith misappropriation and unjust enrichment (doubled since Mangio’s misappropriation was willful and malicious), and breach of contract damages (Mangio’s profits and attorney’s fees). A pretty straightforward case with respect to the trademark infringement. As for the trade dress allegations, based on the pictures above, PNT may have an uphill battle in arguing that its store layout and design constitutes distinctive trade dress. However, given that Mangio probably made very few changes (if any) to the exterior or interior of the retail store location where he ran his franchise before it was terminated, a jury may be sympathetic to PNT’s argument (assuming the court doesn’t otherwise dismiss the cause of action on summary judgment). As for misappropriation of PNT’s trade secrets, the jury can decide if indeed the information at issue was both a trade secret and was misappropriated. I am always skeptical of such allegations given the strict definition of “trade secret” under the statute (information that derives independent economic value, actual or potential, from not being generally known to, and not being readily ascertainable by proper means by the public or any other persons who can obtain commercial or economic value from its disclosure or use and is the subject of efforts that are reasonable under the circumstances to maintain its secrecy) as well as the precise definition of misappropriation and improper means. And with respect to the breach of contract cause of action, to the extent Mangio puts up a defense, I would suspect that some of the blame for the termination will be put on PNT. A Registered Trademark on CYBERLAW? SCRABBLE makers want to scrabble "Scrabulous"